The big project we were working on last weekend when we met our anonymous friends was a ditch digging exercise to remind me why I am so thankful that I do manual labor as an option, not an occupation. A buddy of mine brought his excavator over to help dig a trench in which we buried conduit to get electrical service installed! As you might guess, working without electric all this time has made our progress slow and difficult. I mean, we have a generator but it’s not quite the same as having a socket on every wall we can use. Having a way to cool drinks and pump water and turn fans would be really nice. So, this project is a huge step forward and one that I will be glad to finish. 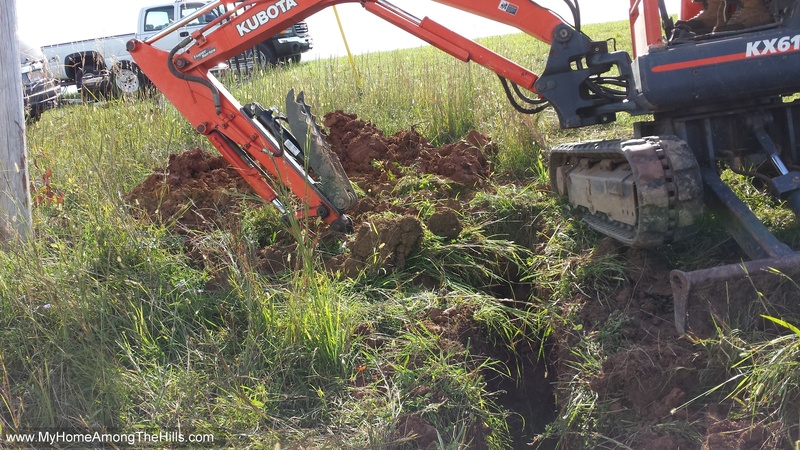 An excavator definitely makes ditch digging easier but there is still a good bit of manual labor that goes into getting a proper ditch dug and conduit and wire installed. I guess I am sort of built for manual labor. I mean, I am well enough and strong enough to do it but golly am I glad it’s only now and then. 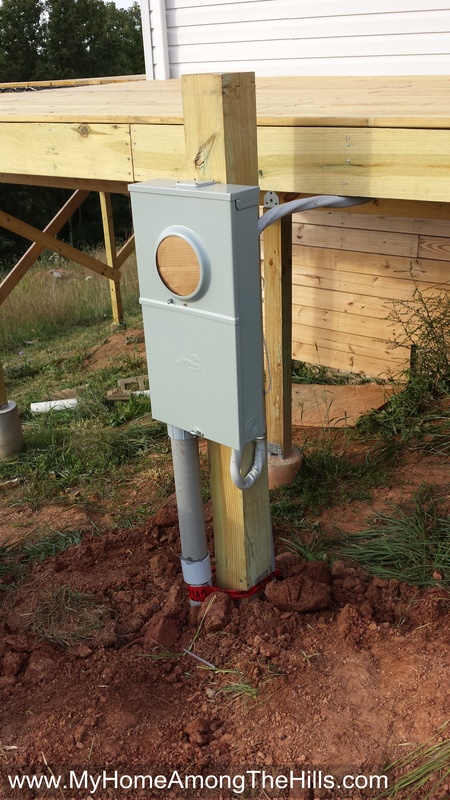 Anyhow, we got the conduit in place and I installed the meter base, an outside disconnect and the panel inside the house. 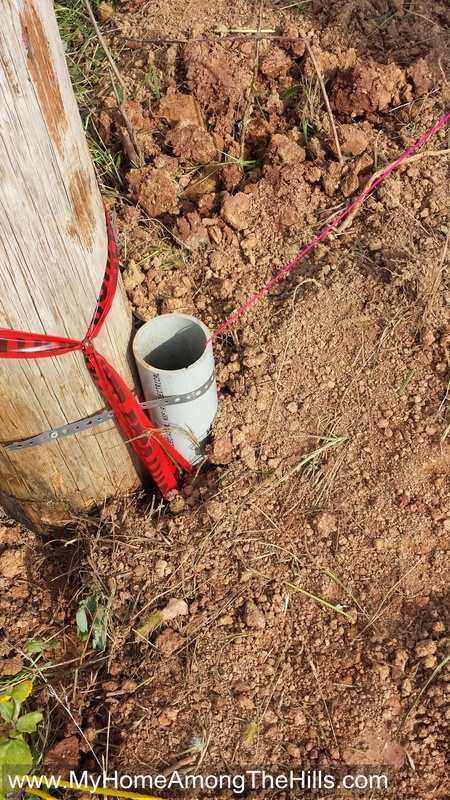 Part of the requirements that the inspector will verify is that there is a proper pull-rope inside the conduit. 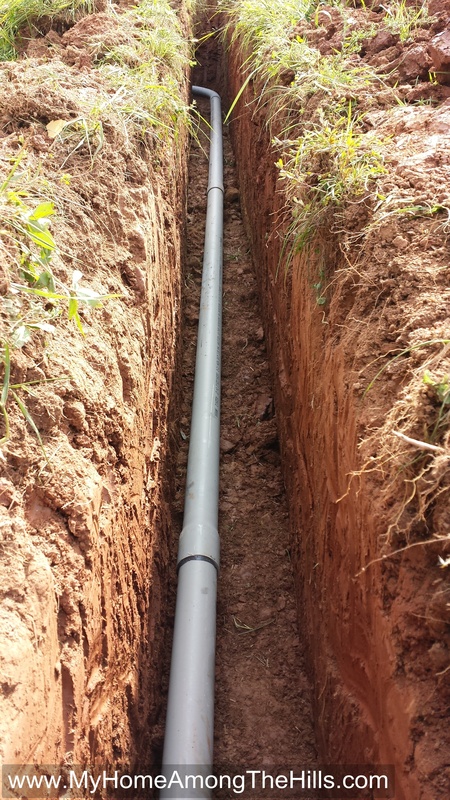 The conduit is buried a little more than 3 feet deep so do-overs aren’t really an option. 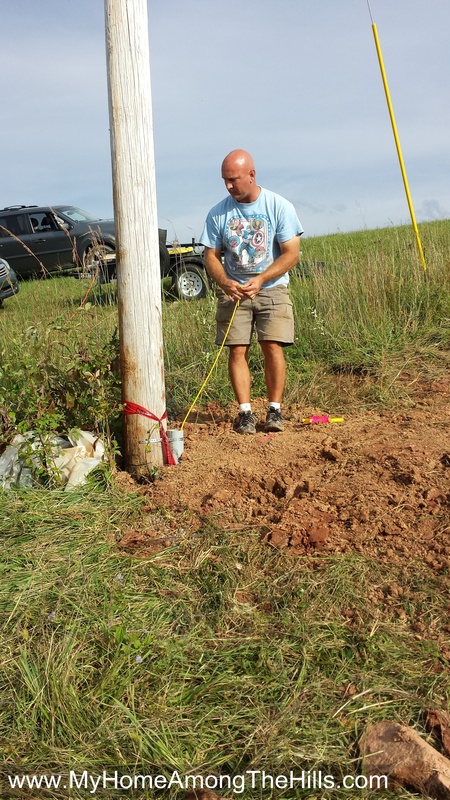 They require a poly rope be installed so they can yank the supply wire from the pole to the meter. In my case, that distance is around 50 feet and there are 3 ninety degree turns. You may be wondering, dear friends, how I got the pull-rope into the buried conduit…with a shop-vac of course! I stood at one end and created a seal of sorts with my hands around the vacuum and the conduit pipe. On the other end, Emily fed in a thin string which was pulled by the suction. We flipped it all on and waited. Pretty quickly, the thin string popped out the other end. I attached my pull-cord to the thin string and pulled it back through…voilà! A pull-cord installed! This coming weekend, the inspector will come review our work and give the go-ahead for the power company to make the hot connection…I can’t wait to get power in the place! I am not sure we will be ready for Christmas in the cabin but we should definitely be ready for the 4th of July!